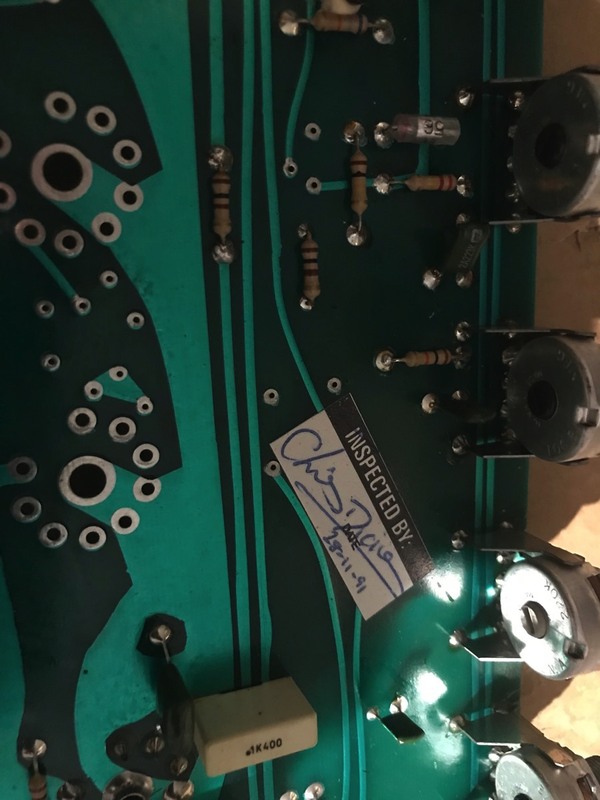 Under the Goodmans Axium 15Ω speaker was the driver board. It had a minor issue … it was faulty! 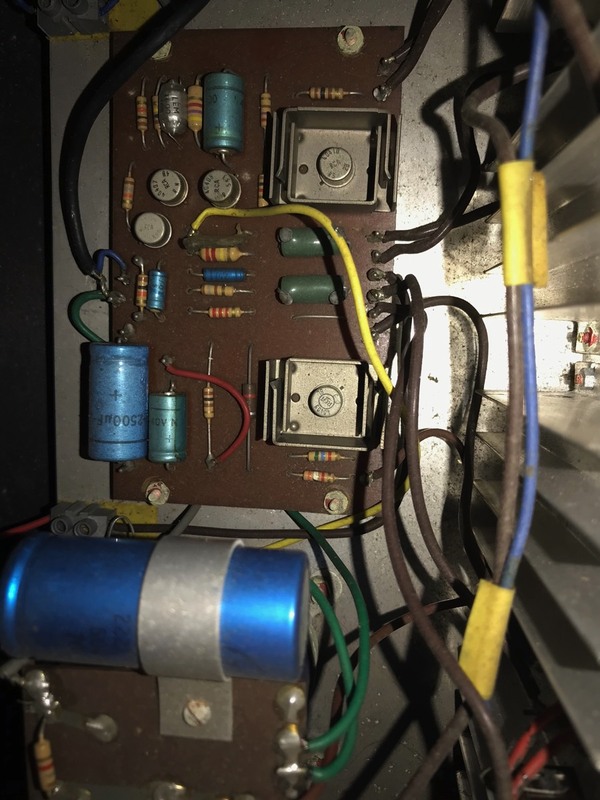 Replacing the 40407 driver transistor and all dried up capacitors, affected a cure. 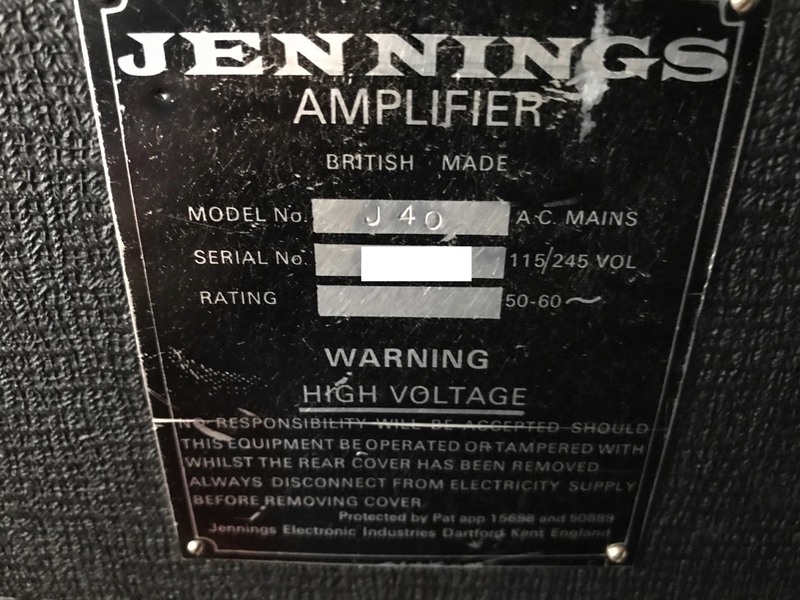 Lovely sound and it uses a novel idea at the time, positive feedback on the amplifier;- when the speaker draws more current, as it is not so efficient at odd frequencies, the amplifier detects the extra current and adds a fraction more drive, equalising the linearity of the overall sound. I do like a challenge. 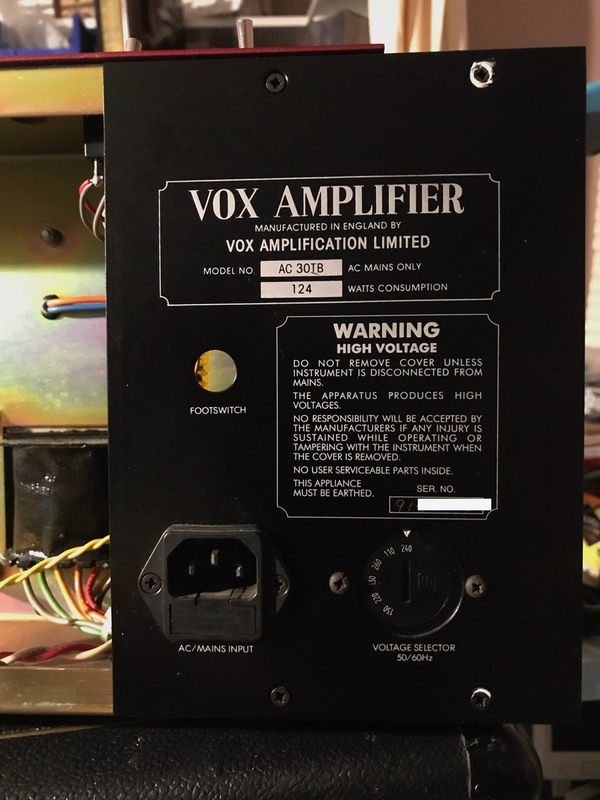 This VOX AC30 BASS is dated 1991 and I fully refurnished the amplifier after much time spent sourcing spares of the correct type, size and specification. Luckily I had most items in stock. It has now a new power supply 5AR4 valve, a quad balanced set of EL84s from Svetlana and a lot of care and attention. New Volume control and panel lamp. Sounds wonderful again.